The Importance of Keeping Our Pets Hydrated! Just like us humans, our cats and dogs need to be adequately hydrated in order to keep them bright-eyed and bushy-tailed! Our cats and dogs will require different amounts of water depending on their size and what sort of food they eat. A cat or dog that is fed purely on a dry kibble diet will need to drink more than a cat fed with moist pouch foods, because wet food contains a lot of water within the food. How much water should your dog or cat drink daily? The amount of water that your pet needs to drink daily depends on his or her weight, activity level, and diet. Dogs are generally pretty good about regulating their water intake. As long as fresh, clean water is provided they will usually drink the amount their body requires. Keep in mind that with the warmer temperatures or after exercise, your dog should also be drinking more to stay fully hydrated. 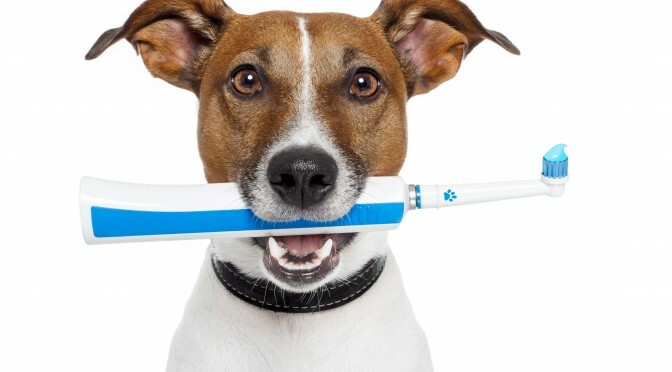 Your dog and cat needs to have access to clean, fresh water daily. Always ensure your dog and cat has access to clean drinking water. A dog will need to drink about an ounce of water for every pound of weight daily, but may need more if he has exercised, the weather is warm, or he is taking medication that may dehydrate him. Your cat or dog will drink water if you can find a bowl that he or she loves! You need to find a good-sized bowl that is always full of a fresh water to keep your pets hydrated. Make sure that your pets’ water bowl is sturdy enough so that your cat or dog doesn’t knock it over. If you have a cat and a dog or multiple pets, it would be preferable to have multiple water bowls. Make sure they are in places where there is not a lot of foot traffic, especially with cats. 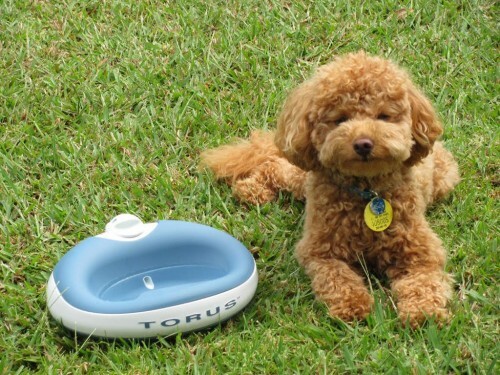 The TORUS™ bowl is a great bowl to keep your pets hydrated. It is a watering system, portable storage bowl, and supplement dispenser all in one. The TORUS™ bowls stores either 2-liters (½ gallon) or 1-liter (1/4 gallon) of water inside its reservoir, assuring there is enough clean water that is protected from dust and contaminants. We like this bowl because the typical water bowl usually has a small amount of water which tends to spill or evaporate, the TORUS™ bowl retains fresh, clean water all day long. 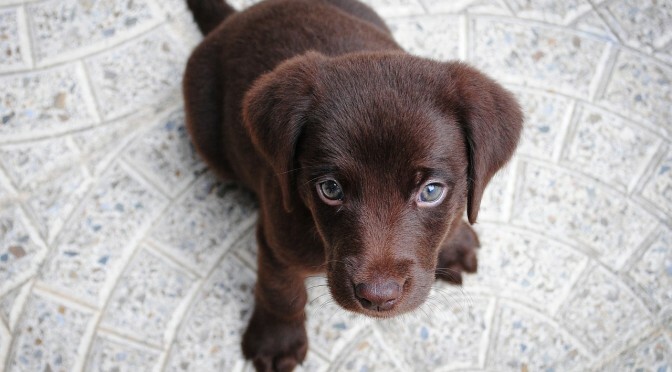 And stagnant water is prone to dirt and dust which we want to avoid for our pets! 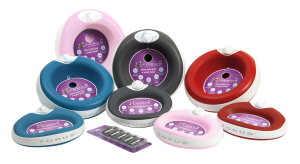 The TORUS™ bowl is also ideal because it keeps the water fresh and bacteria free. Each time your dog or cat takes a sip of water, fresh replacement water automatically flows from the storage area into the drinking well (without the need for batteries or power supply). As the water fills, it passes through a carbon filter, maintaining fresh water in the bowl. The active carbon in the replaceable filter reduces the impurities, trace elements, and flavors from tap water. The bowl is sturdy enough that your dog or cat won’t knock it over. 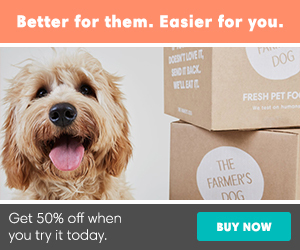 Bring water bowls with you on long walks or road trips! On long walks or play times, take along a collapsible or portable water bowl and extra water. Dogs sweat through panting, which dries out their mouths. On long car trips, bring a couple gallons of water from home along to avoid digestive problems. Most dogs and cats love wet food. If your pets are not drinking enough water, wet food is a great way to add moisture which helps keep your pets hydrated. If your pets don’t eat wet good, than you really need to watch their water intake. Another great option for moisture-rich food is to feed your pet a raw frozen diet. If you think that your dog or cat may not be drinking enough water, or may be dehydrated, there are a couple of things you can check at home. If you dog or cat’s gums are dry and tacky and not moist or pink (which is normal) than they are dehydrated. 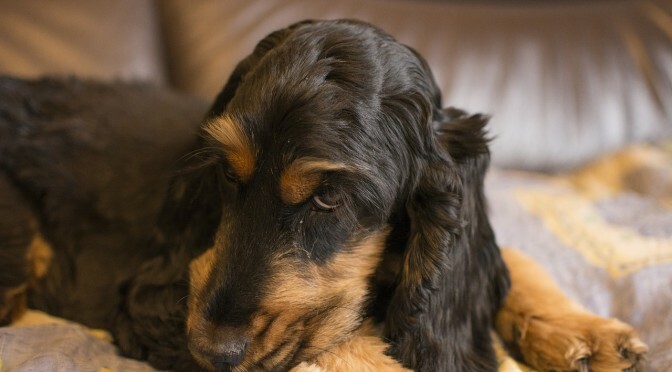 Your pets’ skin should spring back if you pull gently on the scruff at the back of the neck. If the scruff goes back into place slowly, your dog or cat is very dehydrated and needs to go to the vet. If you have a good water bowl (like the TORUS™ bowl) and keep the water fresh and bacteria free, your dog or cat should keep hydrated. As always, if you think your pet is not being adequately hydrated, talk to your veterinarian to see if he or she has any recommendations.